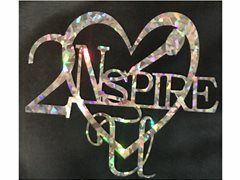 2NspireU, LLC is a South Jersey band comprised of 6 musicians. Seeking to fill vacant background vocalist positions for various gigs. We are NOT full time musicians - we each have a day jobs so if you are seeking career with a touring unit, we are not for you. Ideal candidates ae quick learners, able to harmonize, be team players, with reliable transportation. Serious candidates only. Ability to sing lead not mandatory but helpful. Familiarity with songs from songs from many different genres and eras.